Spirit of Lost Angels is the first book in the Bone Angel series. 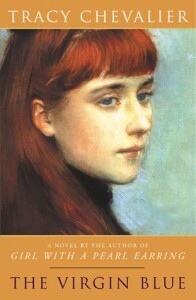 The main character, Victoire, starts out as a naive young girl and grows into a strong, capable woman. She is a flawed, relatable character who sometimes suffers from deep depression which is not surprising considering all the bad luck and losses she endures. 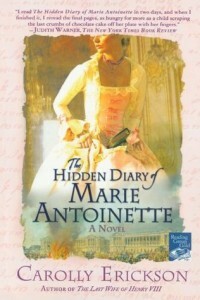 The book allows the reader to see the French Revolution from the point of view of women. 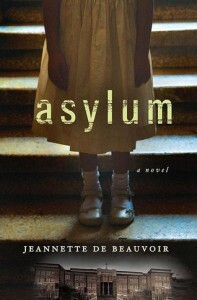 In addition, it offers a fascinating look into the Salpêtrière Hospital, an asylum for women with mental illnesses, where prostitutes, orphans, beggars, witches, adulteresses and other women who did not conform to the norms of society were also imprisoned. I have to say I really enjoyed Spirit of Lost Angels, and I highly recommend it to readers who like historical fiction set in France. Spirit of Lost Angels was sent to me for free in exchange for an honest review. 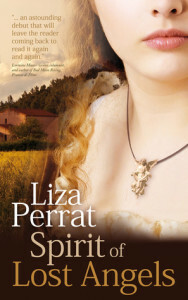 About the author and her work: Liza Perrat’s Website. Read my review of Wolfsangel by Liza Perrat, the second book in the Bone Angel series. Liza Perrat’s desk is in the basement, lodged between the washing machine and the freezer. During a walk along the Garon River, the author discovered a stone cross that commemorates the drowning of 2 children in 1717. She imagined their life, and it inspired her to write Spirit of Lost Angels. 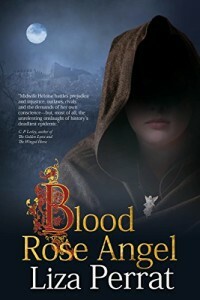 Liza Perrat reviews books for BookMuse, and she is a member of the Historical Novel Society. The author tried to write contemporary fiction, but she discovered she was better at historical fiction since she is passionate about history.